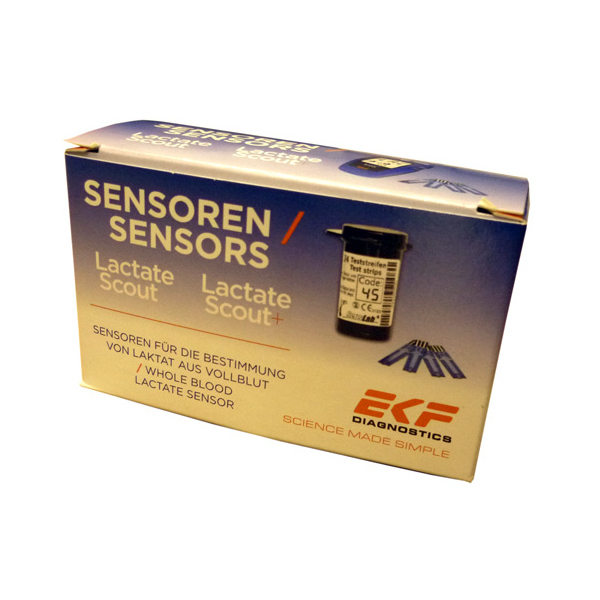 EKF Diagnostics has developed an improved version of the Lactate Scout + lactate analyser. 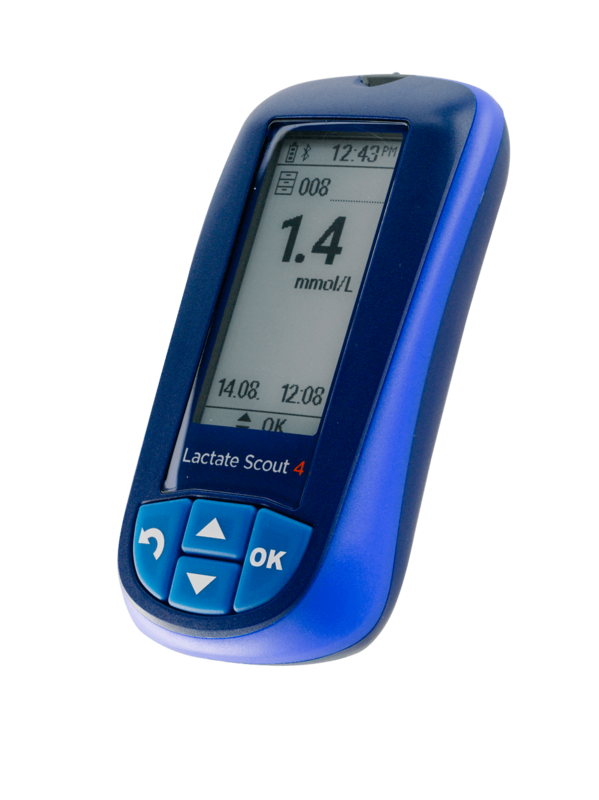 The new LACTATE SCOUT 4 analyser, which will be released shortly, provides accurate measurements of lactate levels to boost performance improvement. 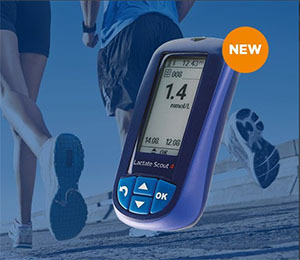 This new analyser offers new features such as the possibility to connect it to heart rate monitors. Also, its display screen is electronic paper, which enables the visualization in movement and with light changes, and the analyser has a more ergonomic design, is smaller, lighter and more robust than its predecessor. Manufacturer: SensLab GmbH, Leipzig (Germany). Measurement: enzymatic-amperometric detection of lactate in capillary blood lactate. 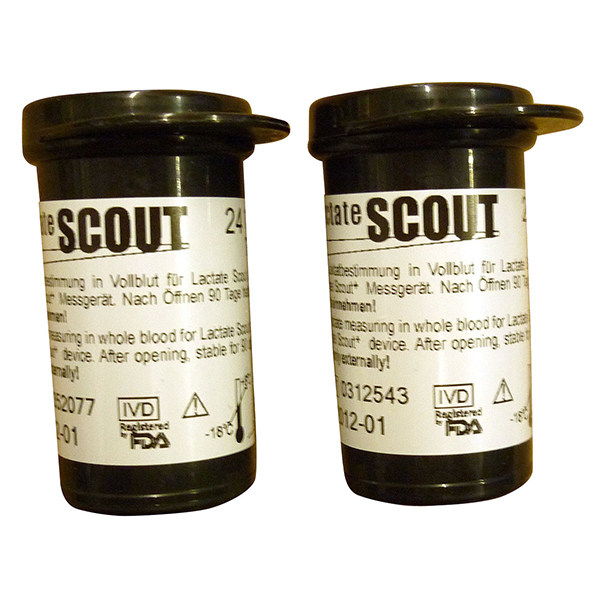 Measuring Range: 0,5 – 25,0 mmol/l. Coefficient of Variation: 3% – 8% (depending on the concentration). Temperature: min. +5 °C, max. +45 °C. Humidity: up to 85% relative humidity. Memory: 250 analysis including additional parameters. 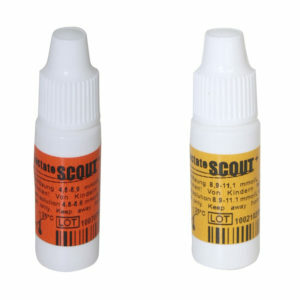 Size: 91 x 55 x 24 mm. Weight: 85 grams including batteries. Interface: Includes Bluetooth Chip for wireless transmition of data to the PC. 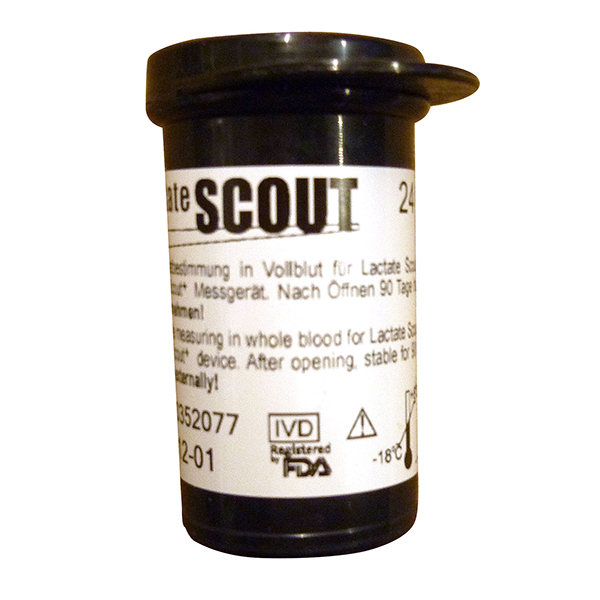 Accesories: Lactate Scout+ Reactive Strips, Lactate Scout+ Control Solution.